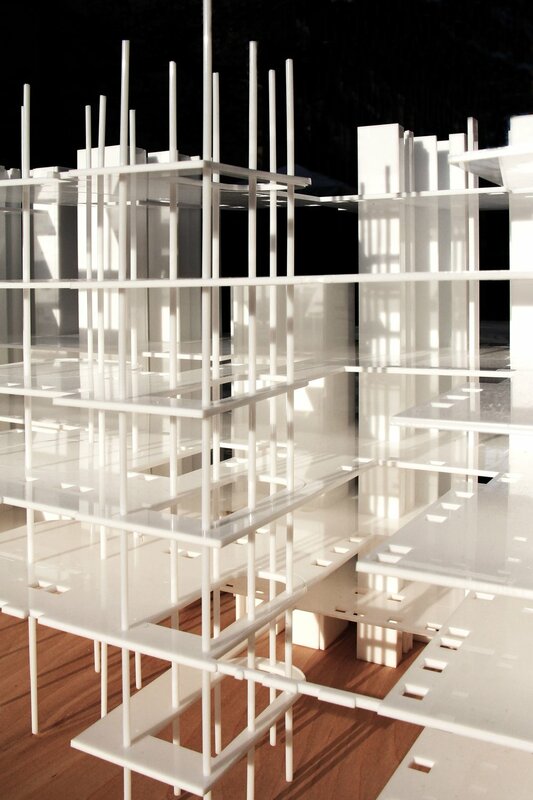 We are 2nd year M.Arch students from GSAPP at Columbia University. Project Statement: THE CORE is a social housing project located in Bronx, New York. 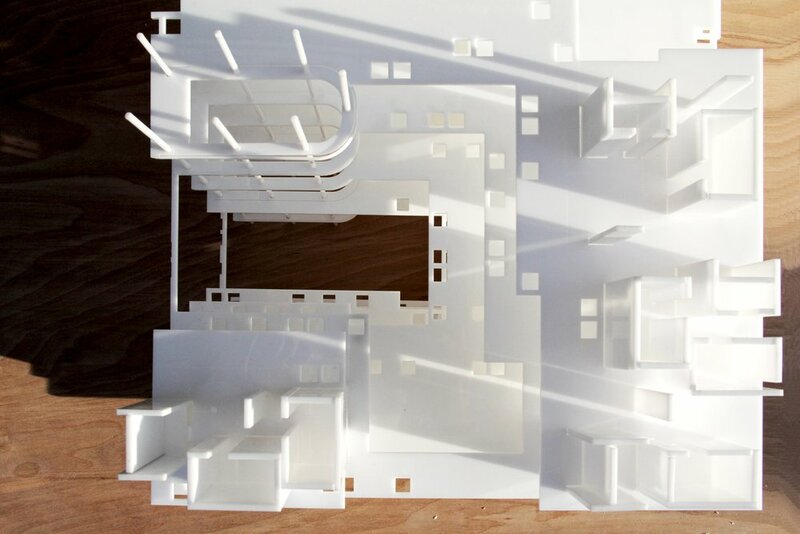 Our housing design explores the possibility to live in various cores in order to maximize density and light. All of these cores provide structural support for all the floor structure, which is waffle slabs. The public cores are located in the center of each block to connect all the unit cores on the four sides. All the unit cores are very densely placed near the perimeter to allow for more sunlight and cross ventilation. Arranging most of the programs into vertical cores allow us to have the freedom for the perimeter, both for the building and for the units. As the floor goes up, the voids in the floor become more porous to allow light to come into the public area, which also makes planting possible on each floor. On the ground level, small incubator offices and a market are designed to connect with and activate the street life. On the upper levels, the idea the "unit" is blurred. Folding doors are used to emphasize the sense of community and the connection to the outdoors. 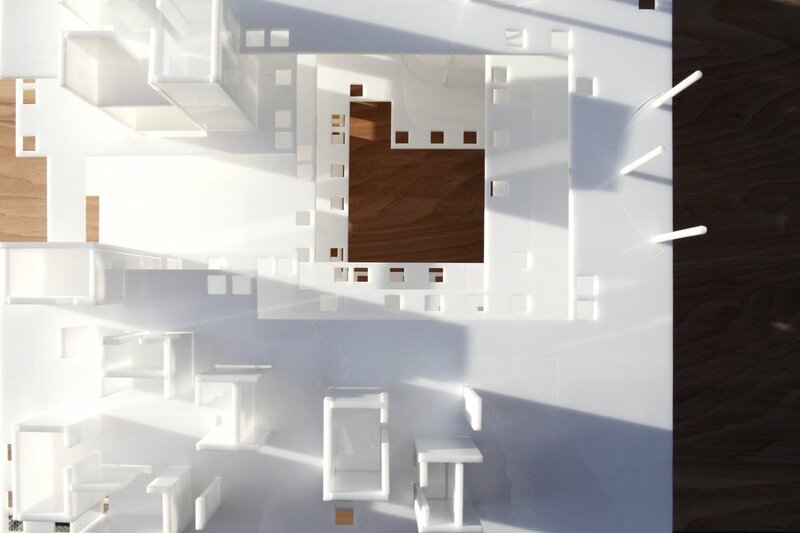 By packing the amenities and programs into the dense cores allows the living space to be more free and dynamic.